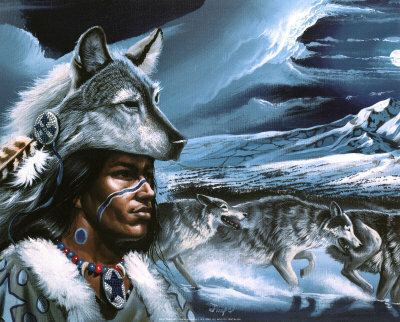 For thousands of years humans have depicted a part man and part wolf mythical creature. 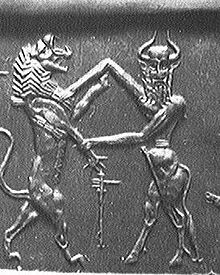 Sumerian mythology portrayed a character by the name of Enkidu who was reportedly covered in fur. 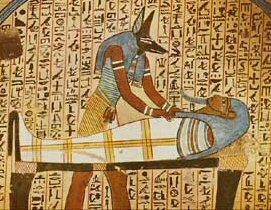 The Egyptians portrayed Anubis, a god of the underworld, as a jackal headed god. Of course Europe told the classic werewolf tales, while in Native America natives spoke of the skin walkers and shape-shifters. These legends and stories are exciting to ponder and share as campfire tales, but they are all just creepy myths from our ancient past aren’t they? Not as far as many citizens of the Great Lakes region are concerned! Wisconsin and Michigan in particular have become home to their own local legend of sorts. Prowling through the thick woods and over fields and farmland, along rivers and lakes, common folk have claimed to be witness to what has become known locally as the Michigan Dogman! Eye witness descriptions of the Dogman slightly vary on occasion, but the general consensus is the same. The Dogman is said to resemble a large bi-pedal wolf or dog like creature. Many have agreed that it has yellow and sometimes red eyes, and has the capability of running at tremendous speeds on it’s hind legs. As crazy as this seems there have been quite an unusual number of normal people coming forward with stories of what they believe to be a real creature. 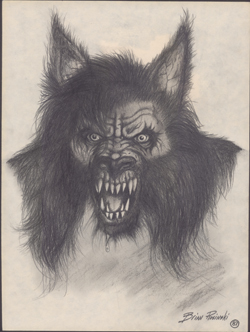 Stories of a “Dogman” or werewolf like creature have occupied myth and lore in Michigan for 100’s if not 1000’s of years. But in 1987 the Dogman lore was revived when Traverse City radio deejay Steve Cook composed a tune he dubbed “ The Legend”.1 The song was first played on April fools day 1987. To Mr. Cooks surprise the local public loved the song containing lyrics compiled from local Dogman accounts. Not only did folks enjoy the song, but started coming forward with tales of their own. It may be no coincidence that “ The Legend” was released in 1987. Part of the legend goes that the Dogman seemingly likes to make an appearance on the 7th month, 7th day, and more importantly the 7th year. Admittedly this sounds much like the building blocks of a new myth being built, but tell that to one of the hundreds of eye witnesses that have been scared “stiff” by this creature! 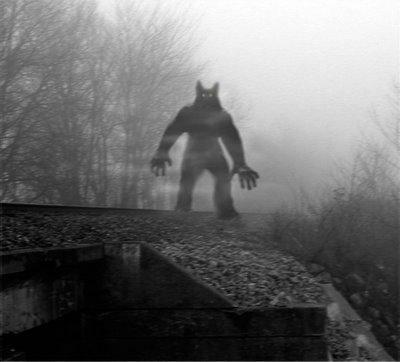 Michigan and in particular Northwestern Michigan have undoubtedly become hot spots for the infamous Dogman creatures, but eye witness sightings by no means end there. Leading the field of research concerning the Dogman and wolf-like creatures is Linda S. Godfrey. Linda wrote the book (later turned into a movie) The Beast of Bray Rd. Researching the initial sightings in Wisconsin she was thrown into werewolf madness for years to come. 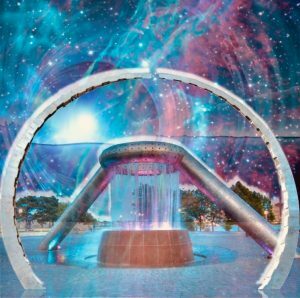 After documenting and compiling many eye witness accounts she has been able to fish out the synchronicities and better ponder on the phenomenon. One detail she realized was that many of the creature sightings were concentrated along the Lake Michigan shoreline. They span from the tip of Michigan, South into Illinois, and then North into Wisconsin.2 This immediately brings to mind a Native American legend from the same region that the Dogman is believed to roam. When Manabozo had accomplished the works for which Kisha’ Ma’nido sent him down to Earth, he went far away and built his wigwam on the northeastern shore of a large lake, where he took up his abode. As he was alone, the good manidos concluded to give him for a companion his twin brother, who they brought to life and called Naq’pote ( which signifies an expert marksman). He was formed like a human being, but, being a manido, could assume the shape of a wolf, in which form he hunted for food. Manabozo was aware of the anger of the bad manidos who dwelt beneath the Earth, and warned his brother, the Wolf, never to return home by crossing the lake, but always to go around along the shore. Once after the Wolf had hunting all day long he found himself directly opposite his wigwam, and being tired, concluded to cross the lake. He had not gone halfway across when the ice broke, so the Wolf was seized by the bad manidos, and destroyed. Manabozo at once knew what had befallen his brother, and in his distress mourned for four days. Every time that Manabozo sighed the Earth trembled, which caused the hills and ridges to form over it’s surface. Then the shade of Moquaio, the Wolf appeared before Manabozo, and knowing that his brother could not be restored Manabozo told him to follow the path of the setting sun and become the chief of the shades in the Hereafter where all would meet. Manabozo then secreted himself in a large rock near Mackinaw. This is obviously a creation myth, but it does connect the native regions myth and lore with a “Dogman” creature. 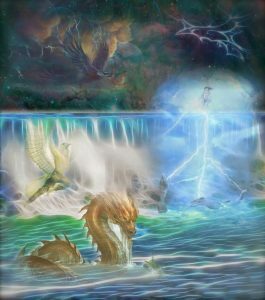 Ironically this ancient myth happens to coincide with modern sightings in regard to the beast traveling many times along the lake shore. This is admittedly a far stretch, but fun to ponder none the less. 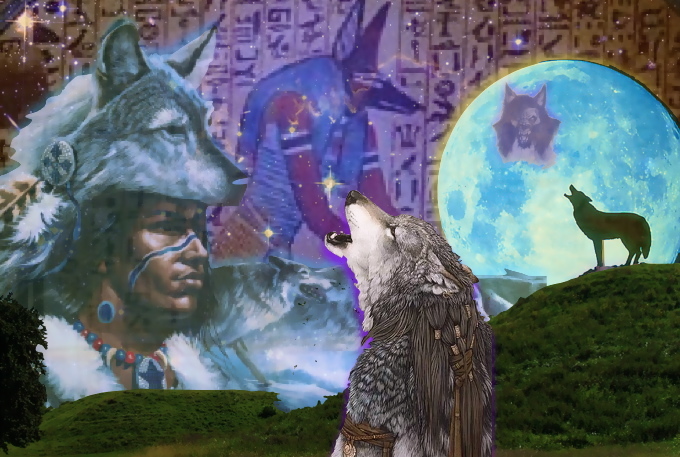 Another Native American connection to the Dogman was recently discovered, once again by Linda Godfrey. After accumulating a vast number of wolf man sightings and being able to compare their location, she realized many times reports would cluster around ancient burial and effigy mounds4. 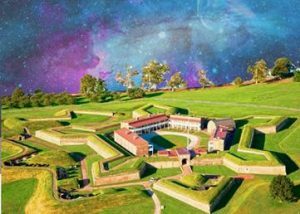 These ancient mounds dotted the landscape of the Midwest, but Wisconsin was home to the largest number of effigy mounds (mounds shaped like animals). Other types of mounds in the area include burial mounds and temple mounds which may have been used for spiritual practices. There is still somewhat of a debate concerning who created these ancient mound structures. Mainstream archeologist feel certain they were created by the native populations, while others feel they may have been created by a long lost race. That’s another story. What is of interest to us is the fact that these ancient mounds also were in large concentrations along the “ Large Lake” shore. The Traverse City area in particular once had many sacred mounds, and coincidently has had a large number of Dogman reports. 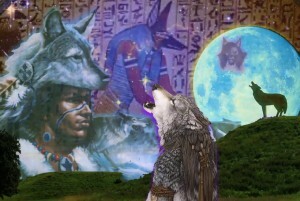 So thus far we have ancient myth and lore of a wolf like creature being advised to travel along the lake shores, Sightings and reports from many common folk of a wolf like or Dogman creature (in many instances near the Lake Michigan shore), and last but not least the ancient mounds containing much superstition dotting the same landscape. 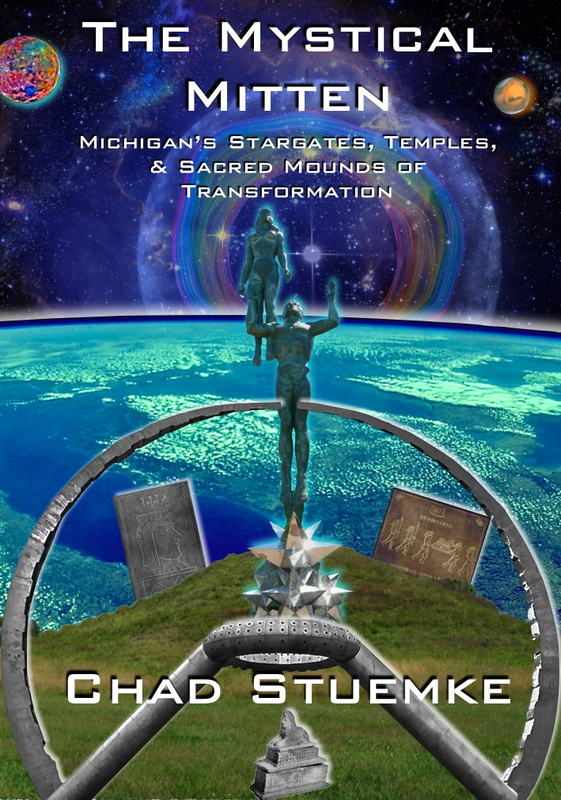 Could it be possible the mound makers left behind “Spirit Guardians” in the forms of Dogmen to protect their ancient sacred landscapes? The possible explanations for the BELIEF in the Dogman are endless. Scientifically speaking, belief may be a large part of the equation. We will discuss that momentarily but first we should try to add one more piece to the Native American puzzle we have been trying to put together. 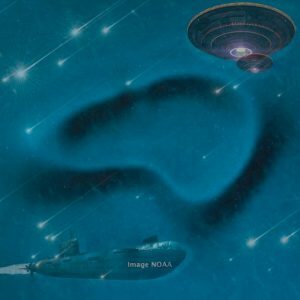 The Native American belief in shape shifting relates to the transformation (physical or mentally) of oneself into an animal.5 Some feel that in general there are two forms of shape shifting. Changing your form on the Earthly plain into a desired animal, and altering your light body in the Astral realm to a desired power animal. 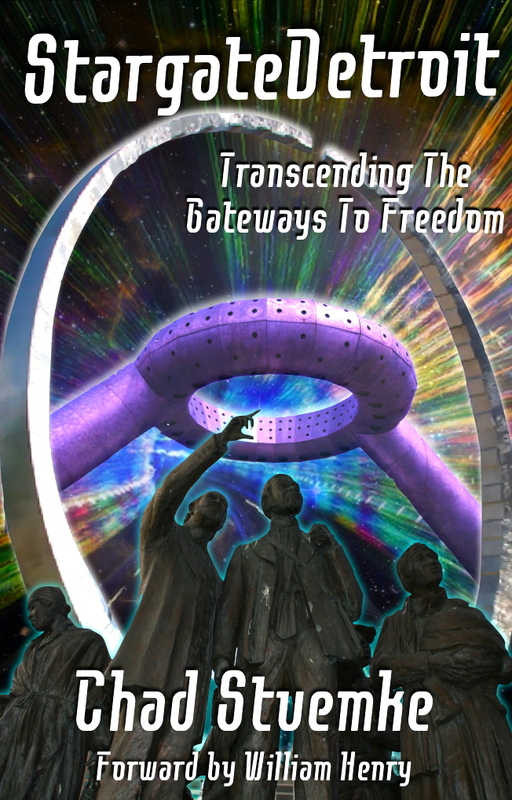 These are more than stories to the natives, they feel shamans and others may literally be capable of these transformations. It has been said that shape shifting could be used for either spiritual or evil purposes. If used in a evil way it is believed that the soul taking place in the metamorphosis may feed on others terror and fear. This coincides closely with eye witness accounts considering many claims of being terrified for their lives, yet never actually being harmed. Is it possible this legend has been fueled by eye witness accounts of Native American shape shifters, or possibly the more evil skin walkers? While this is a tempting possibility to ponder, there are others. Another theory of the Dogman’s origins, as far out as it is, is genetic manipulation. Animals of all kinds are being cloned and cross breed in today’s technological day and age. Some have speculated, could the Dogman be one of these created creatures? While this is definitely far fetched, we must realize technologies in general are being tested many times decades before the public becomes aware of them. Could the Dogman be one of these experiments gone wrong? Or maybe it went right! Like many of the other scenarios this sounds quite out there, yet there are other legends in Michigan concerning genetic manipulations, mainly the Melon Heads! A few other speculations to the Dogman’s origins have arose of late including the possibility of the creature being an other dimensional entity, or possibly even a product of our own beliefs. This leads to the question: Could the belief of ancient Native Americans in conjunction with our own personal beliefs be adequate to bring this creature into fruition? As the legend of the Michigan Dogman continues to grow so does the number of eye witness accounts. This seems normal considering the more who become aware of the legend, the more who will ‘think’ they have seen the creature. This admittedly is the most likely scenario. 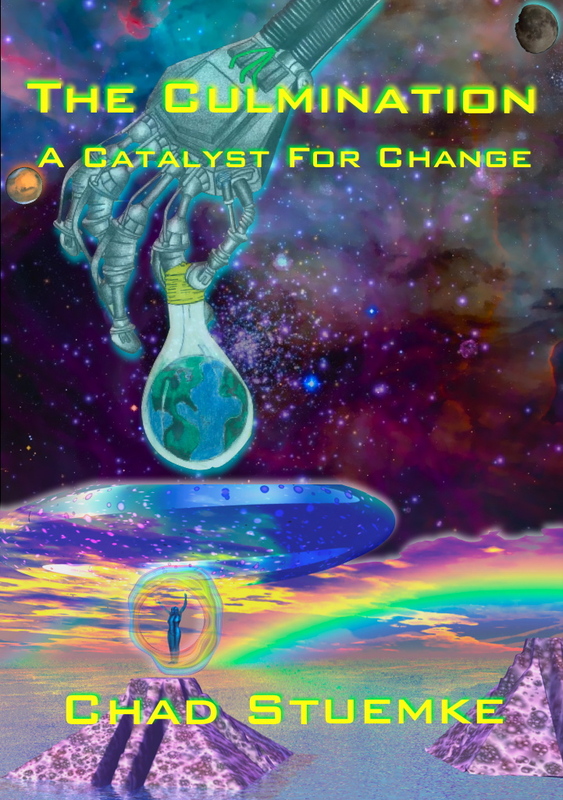 But there is always that slight possibility that it is the other way around, and that it is the belief in of itself that is allowing this creature to literally step into our perceived reality. 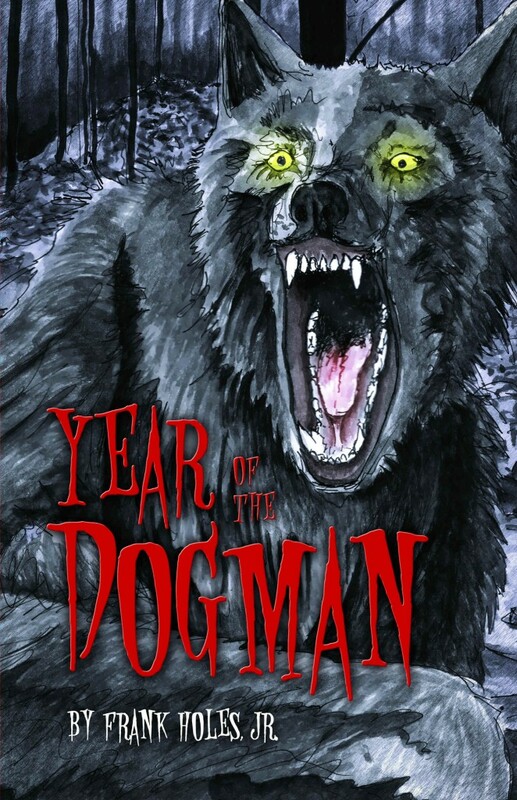 So a word of advise for the next time your in the great outdoors of Michigan, camping, and telling campfire tales: If you decide to tell the tale of the legend of the Michigan Dogman, be sure to install a hint of doubt into your voice, for at the end of the night if the children believe, The Dogman they may receive! AAHHOOOOO!! !